Manage your own website - when you want, the way you want! In today’s fast paced world, everyone wants everything done yesterday. By having your website developed within a content management system (CMS), such as Wordpress, you have the control and flexibility to change the content on your website whenever you want. No more waiting for development companies to make those changes for you. We can develop your website in Wordpress, offering these time and cost saving benefits that it brings. 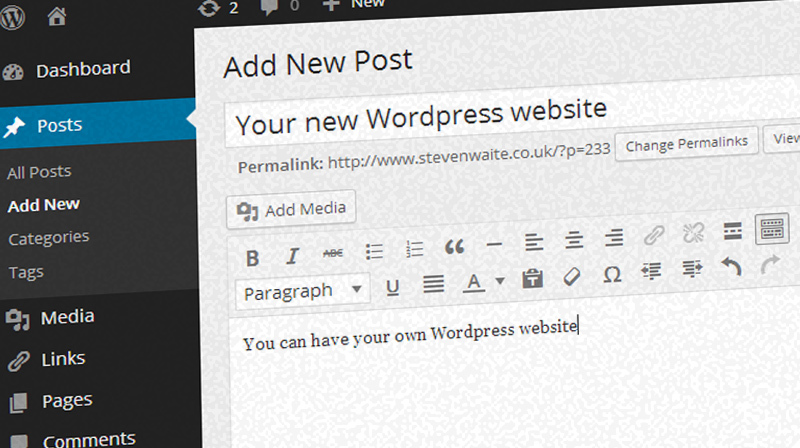 You can either take your existing site into Wordpress, or have it built in around a new design – the choice is yours. Wordpress is an open source system, so it has a thriving community that is always ready to help; there are plenty of avenues for teaching yourself. But of course, we’ll be here to train and help you should you need it. Just imagine – you want that important sales copy changed now! You don’t need to phone your developers and wait for them to clear off their existing jobs. You can just login and do it yourself – after all, it’s only changing a bit of copy. No costs and no waiting lists – what could be better!